On May 16-17, 2017, Goodnight Brothers went through an in depth company audit to become BRC Certified and was proud to receive an A on the certification scale. BRC stands for British Retail Consortium and is a global standard held for food manufacturing and processing. 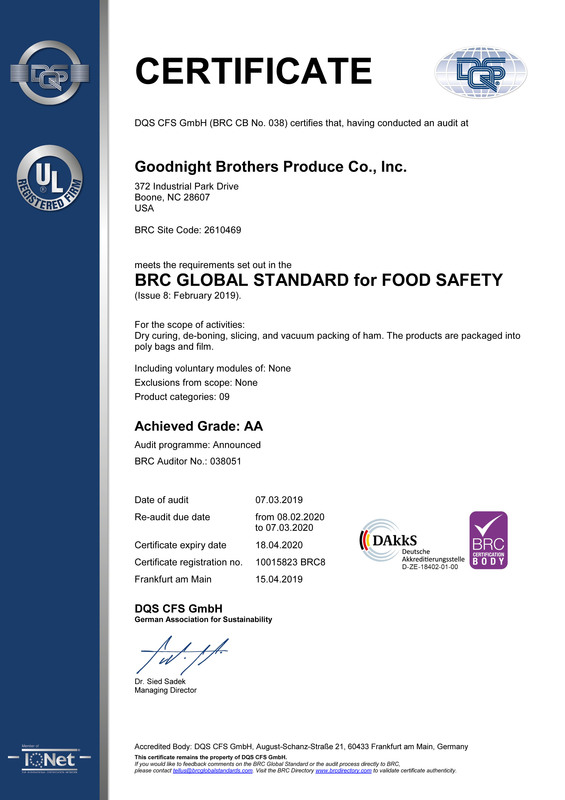 Previously, Goodnight Brothers was certified under the GMP (Good manufacturing practice) certification and received annual audits to complete certification.